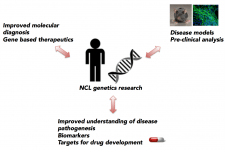 Informed by human genetic data, we develop NCL disease models that are then used in research studies aimed at identifying the earliest consequences of NCL gene mutations at the molecular, cellular and whole organism levels. 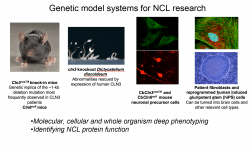 These models are also used in research aimed at identifying NCL protein function, which is important for rational treatment strategies for these devastating and fatal disorders. 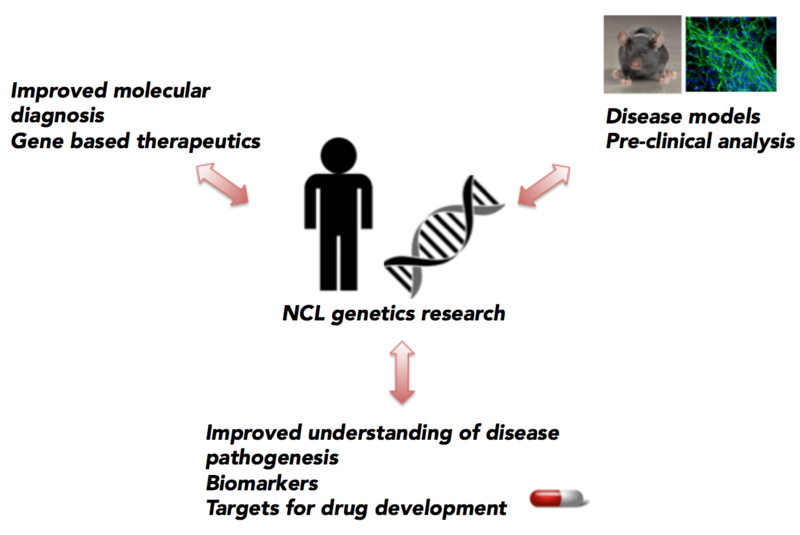 We are actively working with collaborators, both internally and from other institutions around the world, to conduct genetic studies to better define the molecular basis of the NCL disorders. Although the majority of NCL genes are now identified, enabling a molecular diagnosis in >90% of cases, some patients do not harbor mutations in the known NCL genes, and interpretation of genetic data even in known genes remains a challenge. We are also using our genetic model systems to screen for and test candidate disease modifiers in preclinical studies using our genetic disease models. 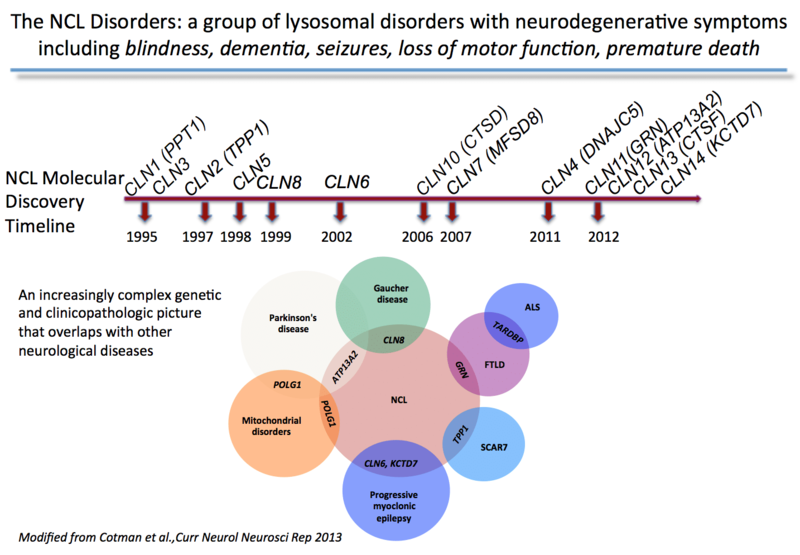 The most recent genetic advances in the field have highlighted an increasingly complex genetic and clinicopathologic picture of the NCL disorders and one that shows significant overlap with other neurodegenerative diseases. We are interested in better understanding these complex genotype-phenotype relationships and the pathway crosstalk across neurodegenerative diseases, and we are using our disease models and other genetic tools to accomplish this. 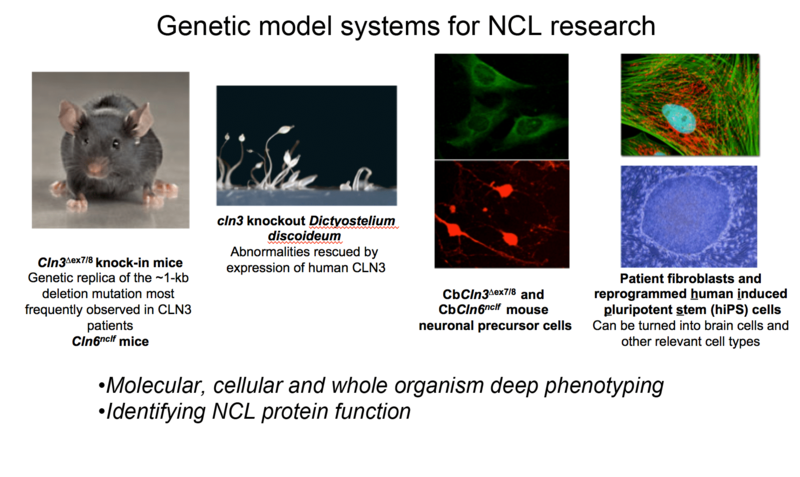 Genetic disease models developed and used in the lab include lower organisms, knock-in mice, neuronal cell culture models, and human induced pluripotent stem (hiPSC) cells. 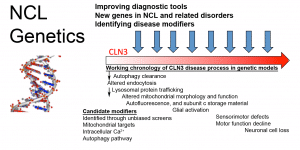 Genetic studies have identified new NCL-linked genes and candidate genetic modifiers of disease. Phenotypic screens in disease models have also identified target pathways for further drug development research. 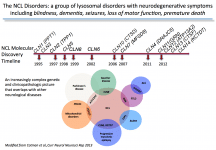 Genotype-phenotype analysis is leading to improved understanding of common and distinct features of the NCLs and several late-onset neurodegenerative diseases. 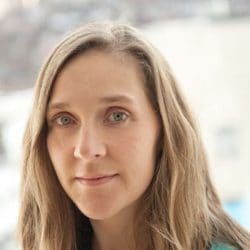 Identifying the common pathways across these diseases will advance a more thorough understanding of disease pathogenesis and could speed the development of therapeutics.